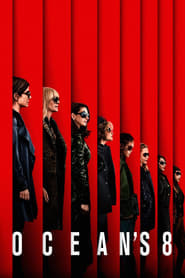 Plot: Debbie Ocean, a criminal mastermind, gathers a crew of seven other female thieves to pull off the heist of the century at New York's annual Met Gala. Went to see this with the girls on Monday. Most nonsensical plot I've seen in a film for a while. I enjoyed it for what it was though - a light-hearted heist film. Nowhere near as good as the Ocean's Eleven films.